A recent study has found that customers are becoming unsatisfied with their energy suppliers, according to an article published by Money High Street. Carried out by uSwitch.com, the Customer Satisfaction Report found that overall levels had dropped from the 73 per cent displayed last year - an all time high - down to 62 per cent. Meanwhile, individual suppliers saw mixed results. 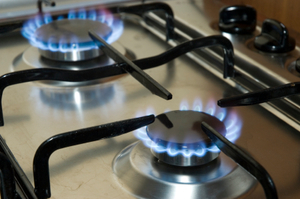 SSE remained sat at the top of customer satisfaction rates, whilst npower still lay at the bottom; British Gas saw the greatest improvement, rising by two places into third place. Managing director energy at British Gas, Ian Peters commented on how the company were looking to improve satisfaction rates. He said: "At a time of rising energy prices, it is also vital that we continue to focus on providing our customers with value for money. "We are working hard to simplify our tariffs and to help our customers control their bills through access to energy efficiency measures such as our free insulation offer," he continued. USwitch.com's director of consumer policy, Ann Robinson, in light of the report, stated: "The important thing for customers to understand is that there is no excuse for putting up with bad service, poor value for money or with a nagging doubt that your supplier does not have you on their best deal."